It’s almost the weekend and sun-kissed Coronado is calling! In between boogie boarding and wiggling your toes in the sand on America’s #1 Beach (thank you, Dr. Beach!) following are a few fun – and free – lesser-known “secret” sights and activities around the island to check out. 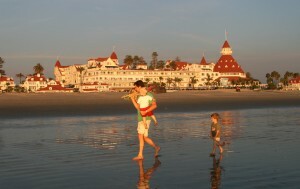 So we all know about the famous Hotel del Coronado. 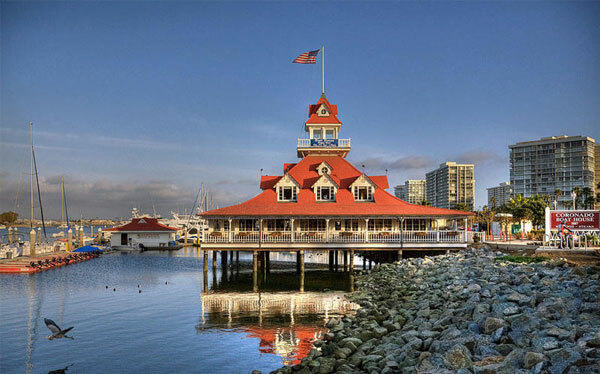 But did you know that just down the block is a building referred to as the “diminutive Del:” The Coronado Boathouse 1887 restaurant on Glorietta Bay. Pretty as a postcard! 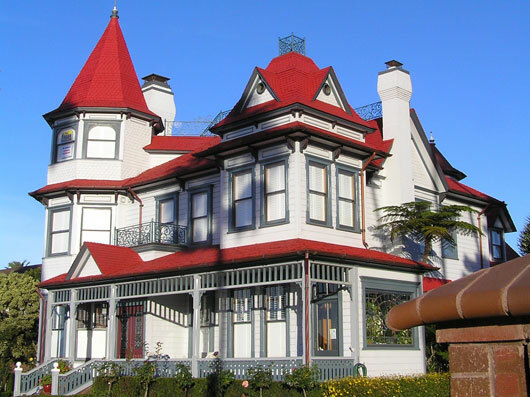 There’s also the eye-catching “Baby Del,” a beautiful private home at 144 Isabella Ave. that will be the site of the 21st Annual Coronado MainStreet Garden Party on September 8 (buy your tickets now!). “My Bike” trekking across the San Diego-Coronado Bridge! 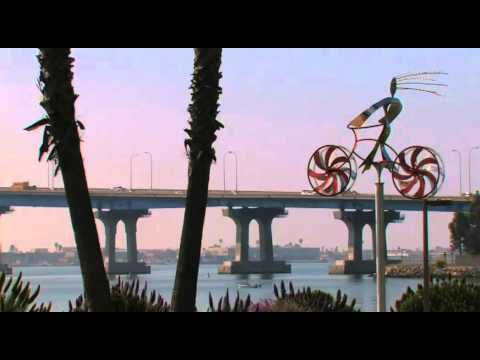 In Coronado’s Tidelands Park is one of the coolest public art pieces on the island, “My Bike,” which seemingly flies through the air as it catches the bay breezes, shining in the sun. Stand back a bit, though, and view it with the San Diego-Coronado Bridge in the background and you’ll notice it’s actually riding across the bridge – a really cool visual effect! Check out the video. 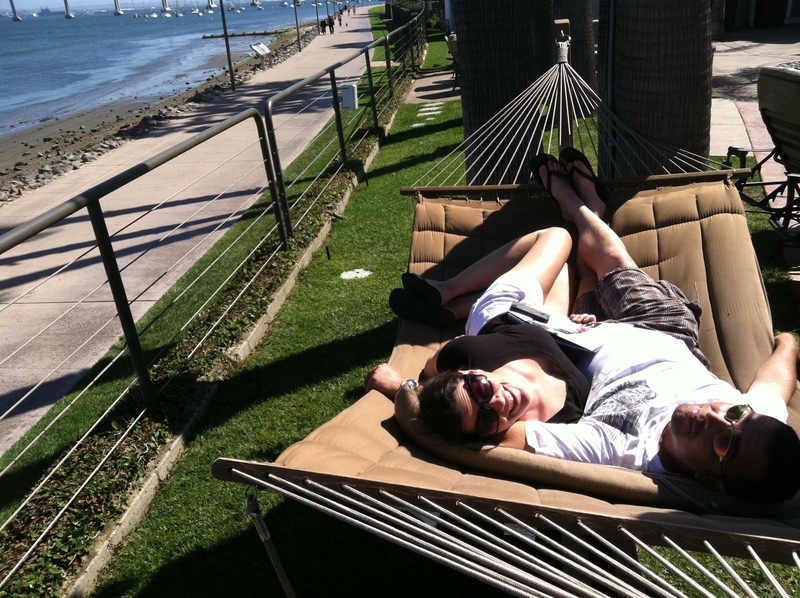 Catching some rays in Coronado Island Marriott’s double hammocks. There’s nothing like a lazy afternoon nap after a long day of play in the sun. Just around the corner from Tidelands Park at Coronado Island Marriott Resort, head out back behind the resort’s pool to find two big double hammocks just waiting for couples to catch 40 winks. The views are spectacular…this is the life! 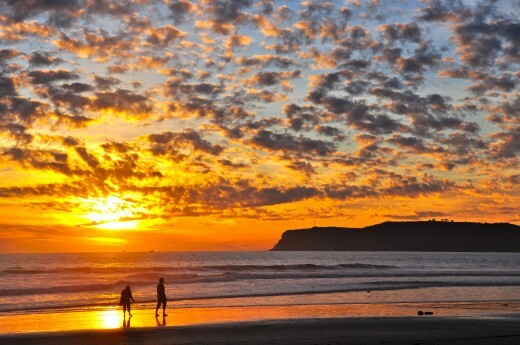 Have a great weekend – see you in Coronado! Just Beachy: Coronado Named #1 Beach in America! Shhh… can you keep a secret? I almost couldn’t. 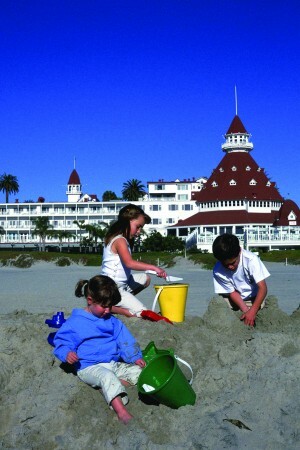 I’ve known for weeks that postcard-perfect Coronado Beach was going to be crowned America’s Best Beach by “Dr. Beach.” However, I couldn’t tell a soul. I promised coastal expert Stephen Leatherman (aka Dr. Beach), that mums the word until May 25. And today’s the day! 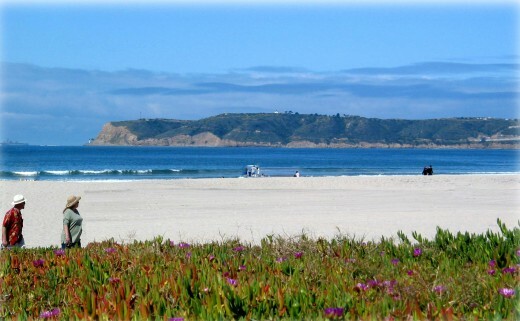 I’m shouting it from the highest sand dunes on the island that Coronado is the #1 stretch of sand in the United States! The timing is perfect. Memorial Day weekend is here and AAA ranked San Diego the top Memorial Day destination! The official summer season has begun. 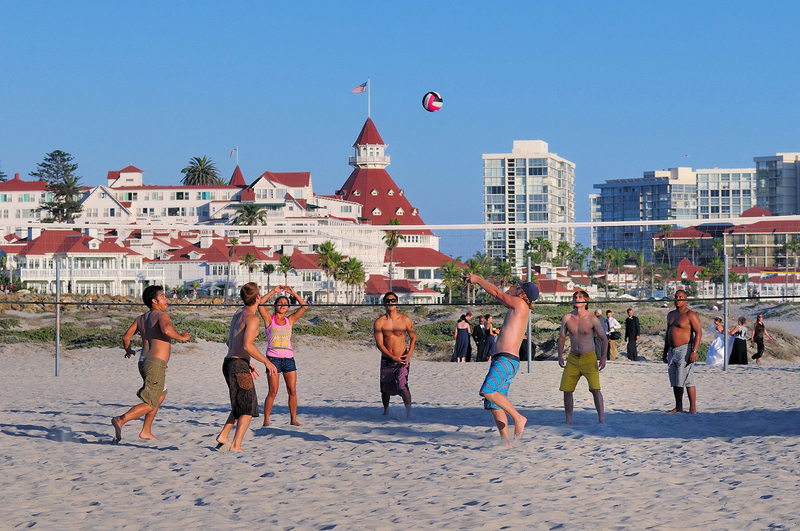 Pack the beach towel, sunblock and boogie board and head to the sunny shores of Coronado! The 1.5 mile long beach has a silvery white sheen because of the presence of mica. The northernmost section is known as Dog Beach (woof! ), where four-legged visitors are permitted off leash! If you’re heading to Coronado this summer, I’ve got the inside scoop on a couple more “must-sees” in the area. Loews Coronado Bay Resort Surf Dog Competition! 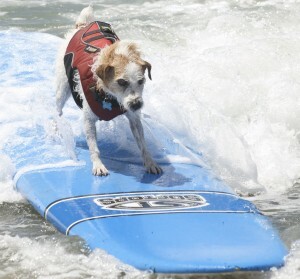 The Loews Coronado Bay Resort Surf Dog Competition, America’s original surf dog competition, is June 16 at Imperial Beach – just south of Coronado’s Silver Strand. See hounds hang 10 solo (!) or with their owners. Tune in to ABC’s Good Morning America that weekend. Their crew will be filming the whole tail-wagging event with TV star Cameron Mathison! 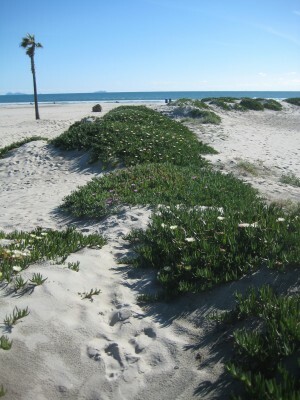 Visitors are also welcome to join in the fun on the Explore & Restore Silver Strand State Beach interactive nature tours of the beach’s rare plants, animals and birds. 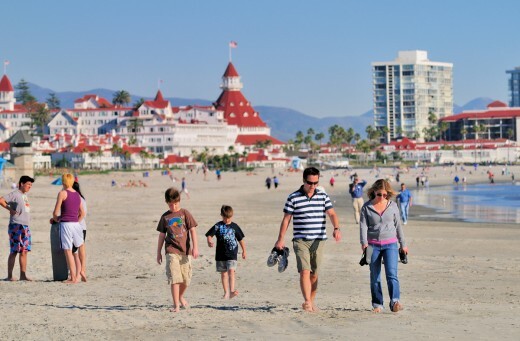 Tours depart every Saturday and Sunday morning from the lobby of Loews Coronado Bay Resort. Sign up by calling the Loews concierge at 619-424-4000. Have a great Memorial Day Weekend everyone and I’ll see you in sun-kissed Coronado! The doctor is in and his prognosis is just beachy! Dr. Beach, aka Florida International University professor Stephen Leatherman, has announced Coronado Beach is the #2 Best Beach in the USA! Each year Dr. Beach visits America’s finest stretches of sand and rates them based on a long list of criteria including sand softness, water quality, waves, weather, facilities and crowds. It’s no surprise that San Diego’s beaut of a beach (and my personal favorite!) on the enchanted isle of Coronado scored high marks, as it did on a number of recent top 10 beaches lists. Dr. Beach’s news made headlines across the country, from ABC and CNN to USA Today. All this talk of beaches is making me want to play hooky, slather on the sunblock and head to Coronado… See you in the surf!